You all know I love these hybrid lippies. 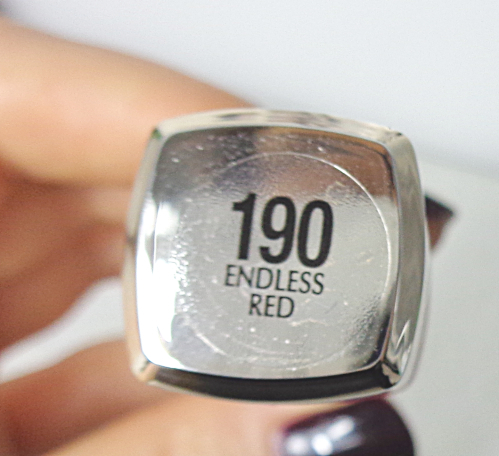 Now I own six shades and Endless Red is the latest addition to my humble L'Oreal Wet Shine Stain collection. Endless Red is a pure red but looking slightly cool from the tube. BTW, I love the applicator. Frankly, it works better than the fuzzier bigger one of YSL Glossy Stain. The color looks a bit warmer on my arm, doesn't it? 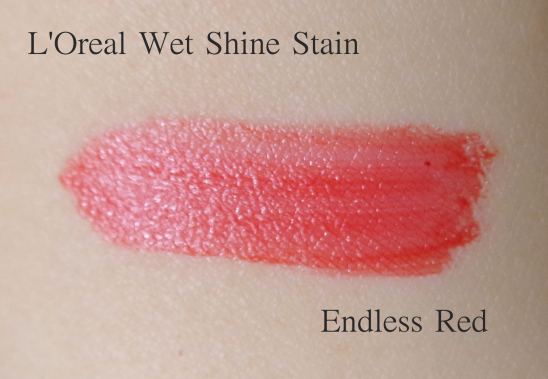 Lippie swatch on arm could be deceiving especially when the formula is on the sheer side. I just love the color and the finish! I admit blogging about red lipsticks is funner and they usually photograph better in overall looks, but I still struggle with pulling off a red lipstick in real life as it looks too strong or unbalanced most of times. This is the case with most full coverage lipsticks for me but it is even more so with red ones. Luckily, although I should have found this years earlier, this particular red with glossy semi-opaque coverage has solved my age old problem. 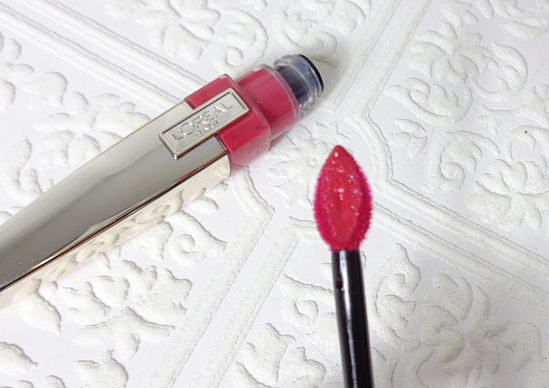 The defining color and its glossy finish gives the youthful look to the lips plus it lasts and lasts on me! It photographs very nicely as well. I have already shared two different (unrealistic) versions of an overall look here & here. You can see the color looks quite stunning under various lightings complementing my skin tone. 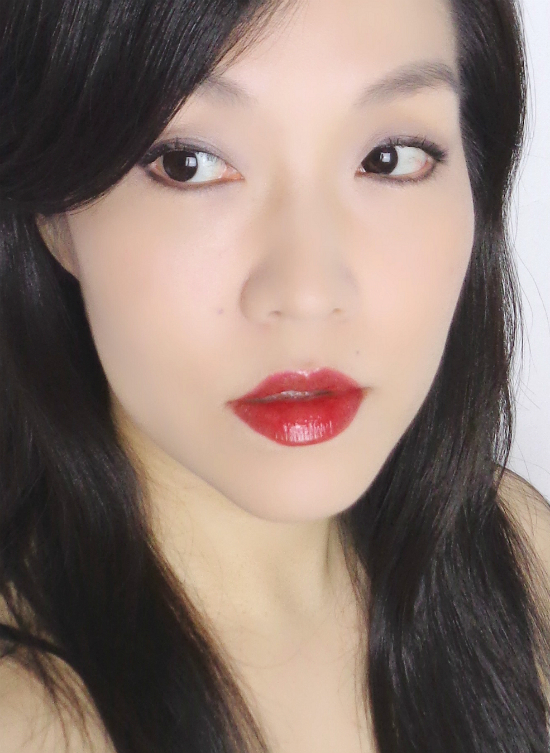 L'Oreal Wet Shine Stain Endless Red is my favorite red lip color by far. The best part is that I actually reach for it without having to give a pep talk to myself. 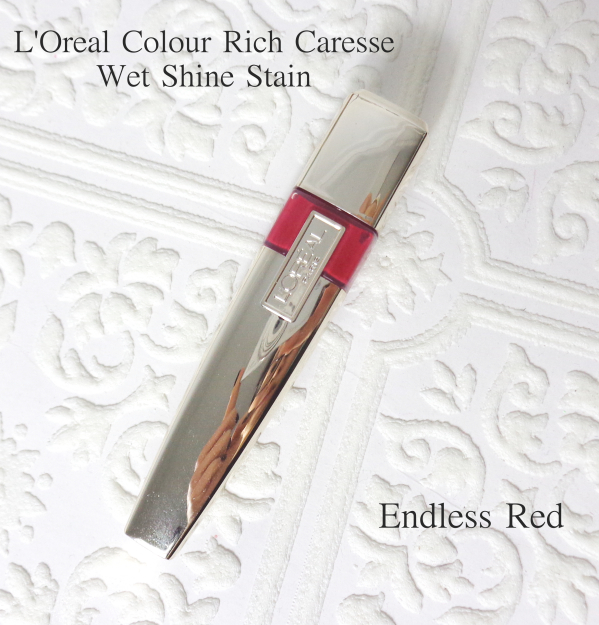 Have you tried L'Oreal Wet Shine Stain Endless Red? 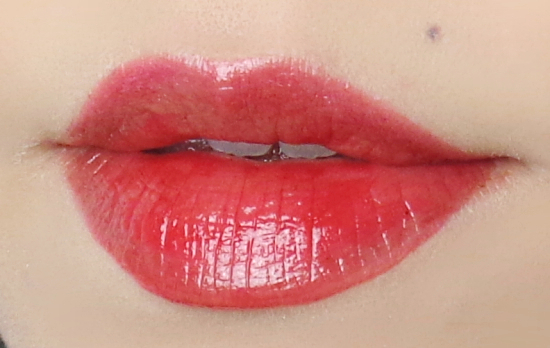 What is your favorite glossy red lip color? It's so pretty on you! I might have to try this one, as I find most red lipsticks way too aging on me now. It's an absolutely siren looking shade and you pull it off so well with your porcelain skin tone! I own a hot pink fuchsia shade from this line but haven't use it in so long! Totally need to pull it out soon! Ah, I have the hot pink and fuchsia ones as well. They are extremely long lasting on me as well. P&J foundation is pretty good but now I have other favorites. Alabaster would be the palest yellow I've seen in years, though. This one works better on me because of the glossy finish and a bit of sheer coverage. Your skin looks so radiant here! Some are not very fond of the stickiness, it seems. I don't mind it much and it is what it makes quite long lasting anyway. haha. I totally agree this is the prettiest red that I own. Very happy with it! It's gorgeous! I think the stain/shine texture makes it easier to wear. 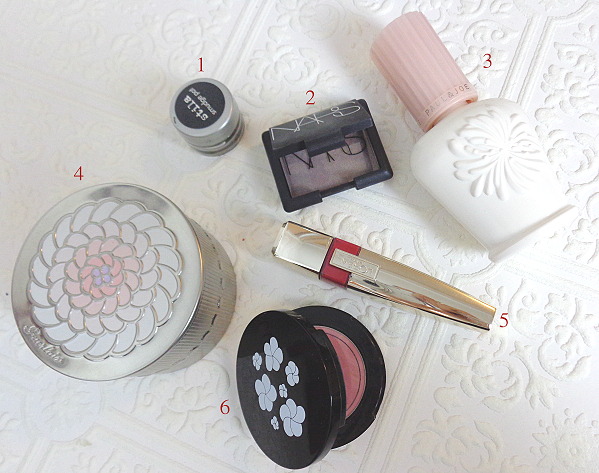 Your makeup products are so pretty! Love this stain color. It's a nice red with a hint of orange hue in it. You look great with red lips! It's very dramatic and understated at the same time. If that makes sense. I think you pretty much summed it up, Wendy! I have two of these and totally share your love of them- they're lovely. Endless Red looks great on you! I get what you mean about it being wearable despite being bright too, I think it's in the translucency. I am glad to hear you enjoy the range as well. Lena, glossy reds looks amazing on your sultry lips!! MOAR!!! Oh man, you make me want these so badly! When I haul like 10 of them, it will totally be your fault. The red is beautiful on you!! I am the same way, I really have to take a deep breath before I put on bright colors. This one looks very nice on you. It is almost deep red, but bit of lightness too it. I don't know if it makes sense. I have not tried this myself, but I own a stain gloss from Maybelline, which seems to be have a similar result. I like that one so far, maybe after I am done with that, I will venture out to new ones. I haven't tried the Maybelline version of this, but would love to get some more colors since I feel I have all the colors I want from this L'Oreal range.